This post may contain affiliate links and was sponsored in part by Concrete Countertop Solutions. Thank you for supporting the brands I love! Guys, kitchen renovations are no joke! Between not having running water or being able to make dinner for 2 weeks, I’m SO excited to have our first big project done in here!! 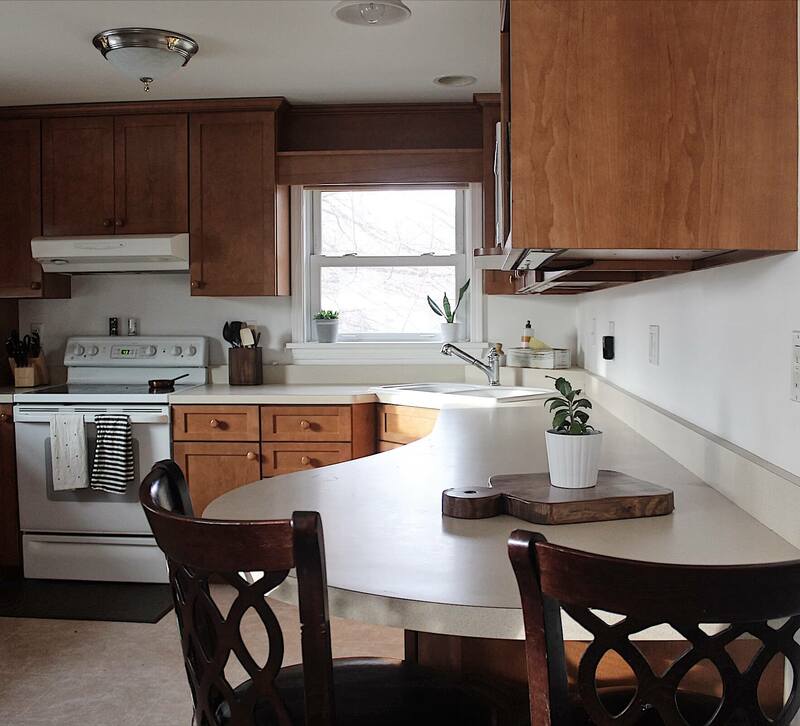 Over the past month, we were able to completely redo our countertops by taking out the 20 year old yellow laminate counters and replacing them with concrete counters that we poured ourselves! 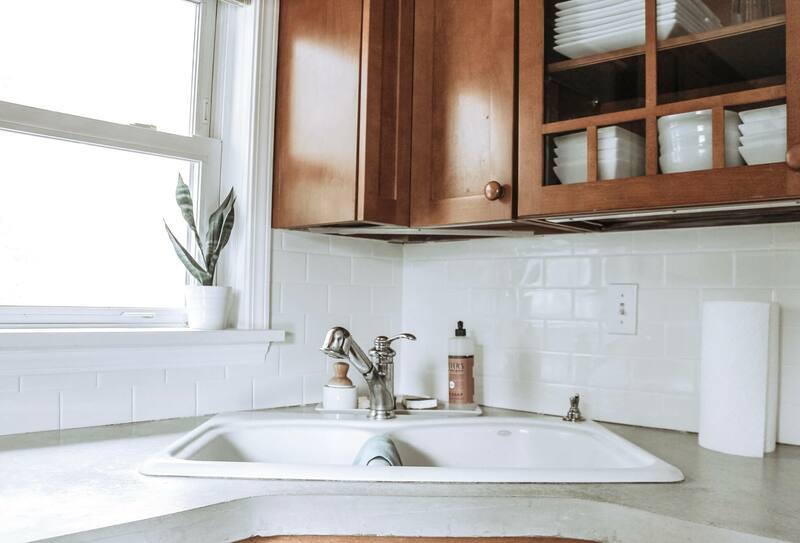 DIYing concrete countertops is not for the faint of heart and I can’t wait to share the awesome company we worked with that made it all possible! 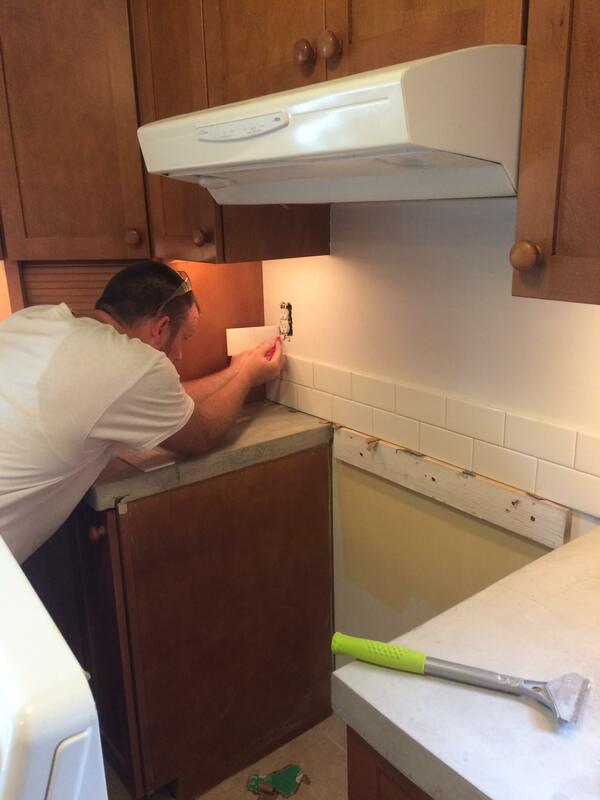 After pouring the counters, our walls were a complete mess so we added a simple subway tile backsplash. It made such a huge difference in the space! 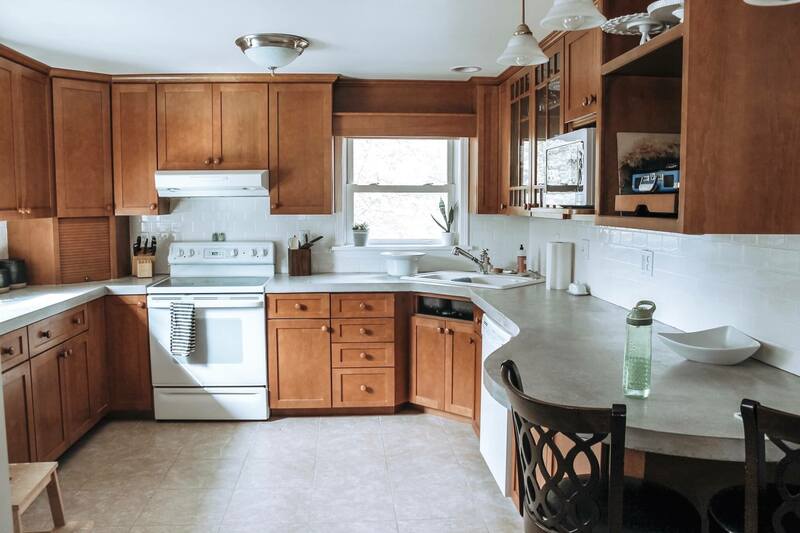 Already, the cool gray counters are toning down the orangey cabinets, which I cannot stand and I’m excited to say will be getting painted next week!!! In addition to adding some pizzazz, the subway tile also helps reflect light in this otherwise dark room. So lets talk about the real project here: the concrete countertops!! 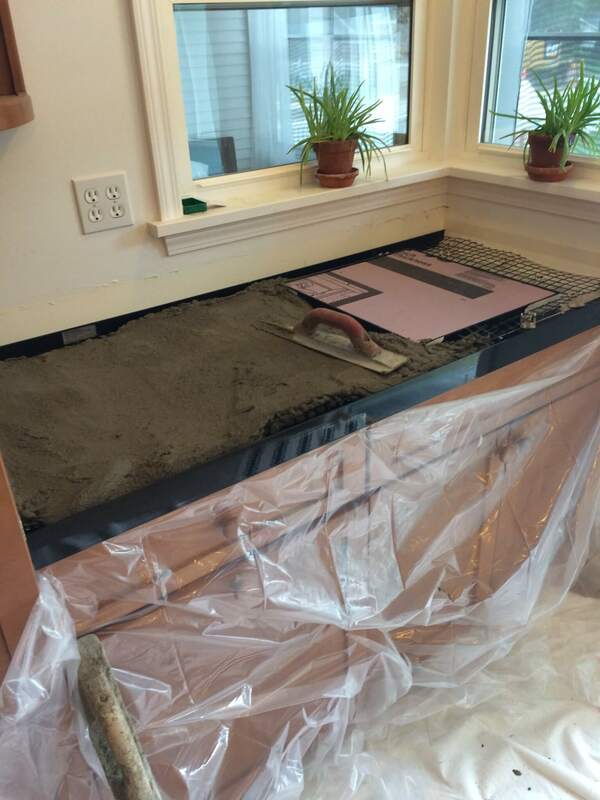 We were lucky enough to get to work with a company called Concrete Countertop Solutions, which makes products specifically designed to eliminate the headaches that can come along with pouring concrete counters the old-fashioned way. The reason I was so drawn to this brand is because of their countertop forms. Normally, you would need to build all of your own forms out of lumber, which would have been super time-consuming. And do you see that curved breakfast seating area? Creating that shape out of wood would have been close to impossible! The forms that ZCounterforms make are made out of plastic, and you can choose from all the different counter top edges like bull-nose, square, ogee–whatever your little heart desires! They are made of plastic, so when your counter tops are done and ready to be revealed, you simply snap off the edges and you’re done! This is what the forms look like. You simply caulk concrete backer-board to your cabinets, screw the forms onto the cabinet, and add wire mesh. Then comes the fun part–filling the molds with concrete! We were lucky enough to have my father-in-law help us with this project, as he was a professional concrete finisher for over 30 years. We truly would not have felt comfortable tackling this project without his help, as finishing concrete is an art that takes a lot of practice! The thing my father-in-law was most excited to try was their Z Liqui-Crete additive that you add to your bags of concrete. The Liqui-Crete not only makes the concrete stronger, it actually makes it flow easier into the mold, and easier to work with. He had only poured concrete countertops once before, and he said working with regular concrete was a nightmare. Side note: concrete lightens as it dries, so if you’re like me and wanting a lighter finish, don’t do what I did and panic at how dark the counters look when they are wet!! After the countertops were installed, we added our backsplash! 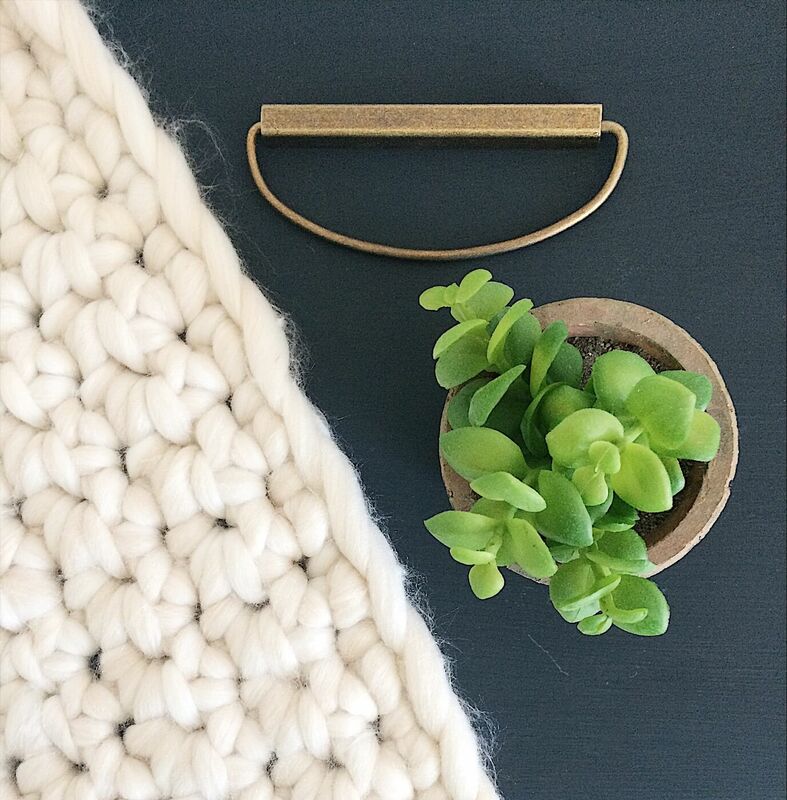 We went for a plain, affordable subway tile. I love the timelessness of the subway tiles and, of course, the fact that they are white. And we all know how everything I touch gets painted white. I love, love, LOVE the finished product, and I’m so glad we were able to DIY them. That being said, we’ve tackled a lot of DIY projects over the years and this was by far the biggest and most challenging. I say this despite the fact that we had a professional (my father-in-law) helping us. I’m not sure that we would have been brave enough to attempt this project without his expertise. 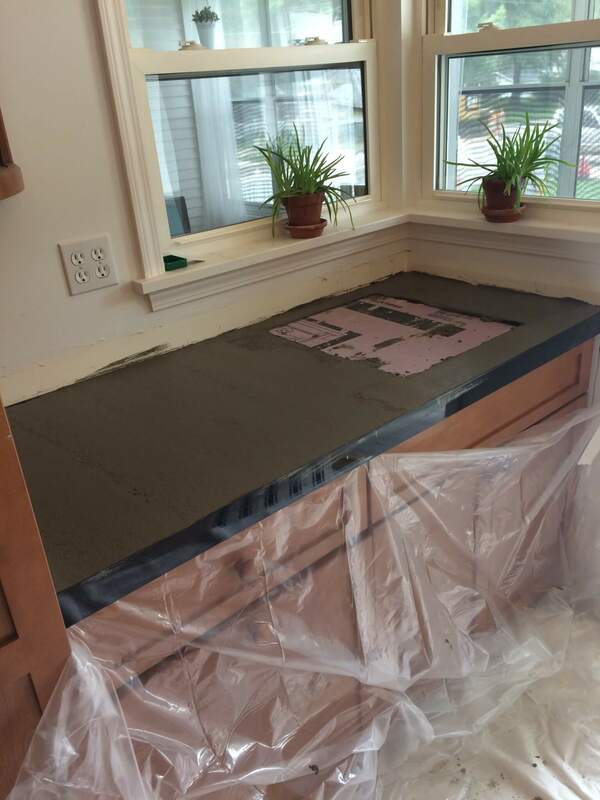 While I’m not sure I would recommend this project for novice DIYers, if you are planning to pour your own concrete counter tops, you definitely need two things: the additive that we used from Concrete Countertop Solutions, and the forms for your edges. It makes it so easy to snap them off and we would have been in deep trouble without these products! But the best part about working with Concrete Countertop Solutions? All we had to do was send our counter top measurements to a rep and he was able to tell us exactly what (and how much) of every product we would need. Because as total beginners, that would have been really hard for us to figure out! So what do you think about our new counters?! 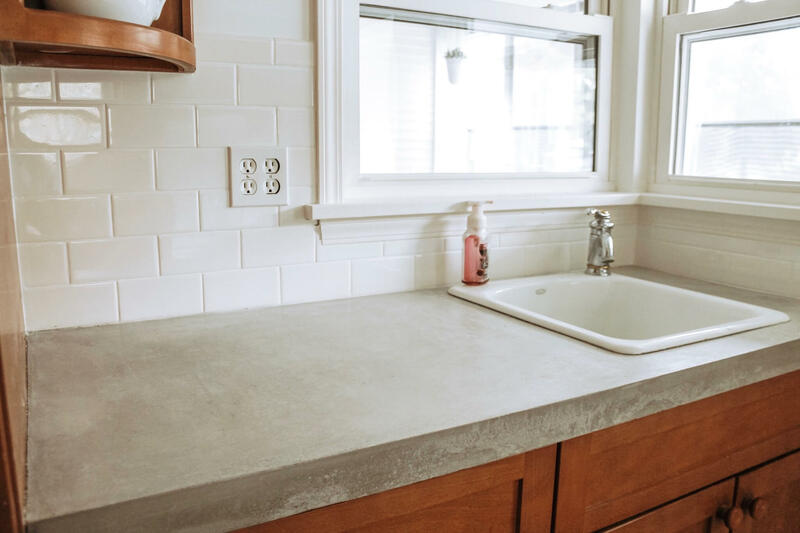 Would you ever try concrete counter tops in your home?!? Did you seal the concrete countertops? ?